I am using an optional short throw lens and the image is out of focus. What should I do? 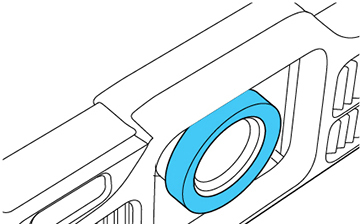 If you installed an optional short throw lens (ELPLX01/ELPLU03/ELPLU04/ELPLW05/ELPLU02), you may need to focus on the center of your screen and then correct any distortion in the surrounding area. 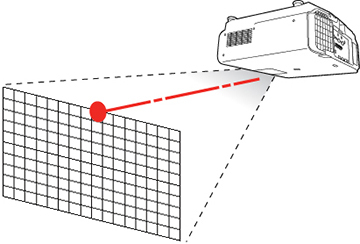 Press the Focus button on the remote control or press the Lens button on the control panel repeatedly until the focus adjustment screen appears. Press the left or right arrow buttons until the center of the image is focused. 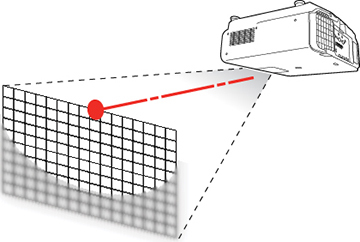 Press the Focus button on the remote control or press the Lens button on the control panel repeatedly until the distortion adjustment screen appears. Press the left or right arrow buttons until the edges of the image are also focused. Note: If you installed the optional ELPLU02 short throw lens and you see a message prompting you to manually adjust the image distortion, manually rotate the distortion ring counterclockwise. Adjust the focus and then rotate the distortion ring to correct image distortion. Published: Sep 9, 2016 Was this helpful​? Thank you for the feedback!